See why Salta is nicknamed ‘Salta la Linda (the Beautiful)’ on a half-day sightseeing tour. 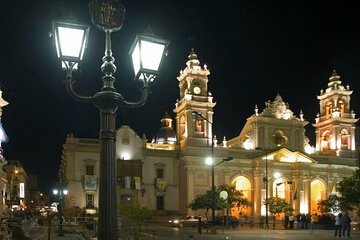 Explore the best of this city tucked into the foothills of the Andes as you travel comfortably by coach to highlights like the Cabildo, Salta Cathedral, Casa de Uriburu, and San Bernardo Convent. It's a great way for visitors with limited time to cover lots ground in just a half day, while learning the history behind this Argentine provincial capital.